A very well designed Starbucks in Yokosuka Japan. Very different from the normal style. Where is This? Comment below. Haven't been doing much photography lately so have had to reach back to the archives. Any idea where this is? Not much too say with this one. Waited a little later after it really got dark to get the reflection in the water. Still amazed at the detail this camera is capturing. Olympus OM-D E-M5 with 9-18mm 4.0-5.6 lens @ 9mm. Processed with Lightroom and Perfect Effects 4. I started today off by going to a Men's Bible study this morning, but I had my wife drop me off so I had to walk home. Normally at a brisk pace without stopping, I can walk home in about 1 hour 20 minutes. Today it took almost 3 1/2 hours because I brought my camera. I don't think I got a lot of exercise, but I did get a lot of photos. 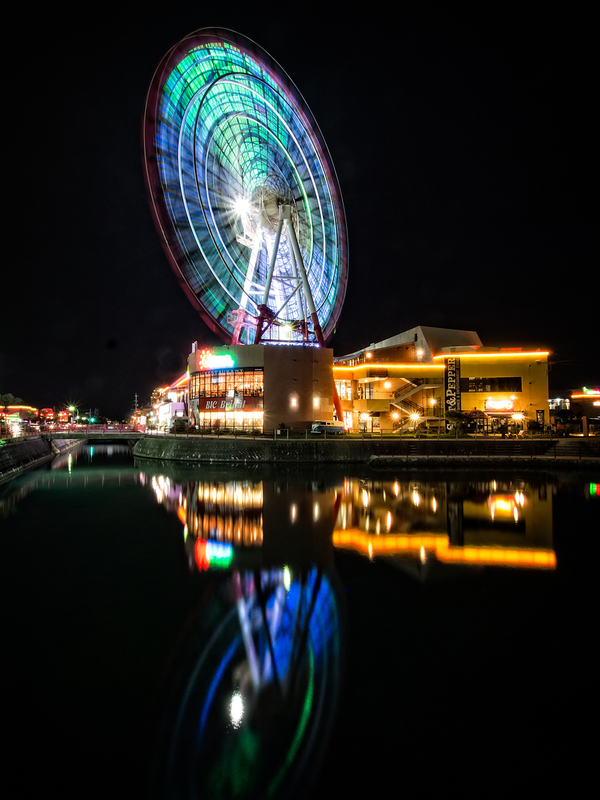 Later in the evening I went to Mihama to try and catch the sunset and the ferris wheel. Unfortunately I wasn't a great sunset, but there was enough color in the sky to make it interesting. The photo below is an example of that. I haven't had a chance to go through my photos from this morning, but from what I saw of my Mihama images, I'm very excited. I finally have a large number of photos from my new camera that it will keep me busy for awhile processing and sharing. I'm still waiting for the right conditions to get a fantastic land/seascape, but it hasn't developed yet. One other point of good news is I can use my large and expensive variable neutral density filter can be used on my smaller new lenses. I was handholding them against these new lenses today, but now will order the proper step up adapters so I can more easily use it on the current lenses. Yesterday my wife and I were driving to an Italia Fest event in Naha. On our way there we had to pass by the Shurijo Castle area and saw some people string some ropes across this pond. My wife said it looked like they would be hanging the Koinobori (Carp Banners). 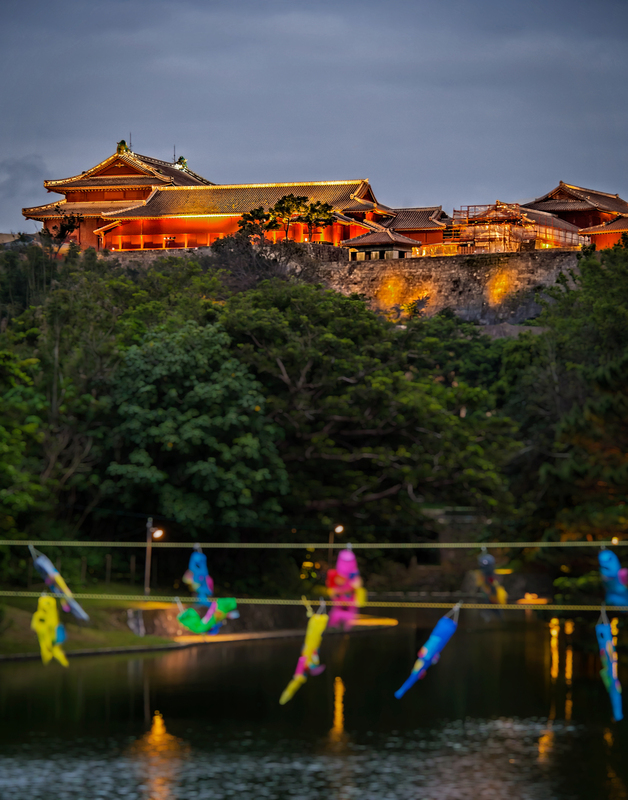 I immediately thought this would be a great location to photograph especially with Shurijo Castle in the background with the pond and banners in the foreground. I decided to head over there this afternoon, but was concerned because the weather was pretty ugly. The daytime shots were nothing special because the sky just was very boring. Fortunately, the castle gets lit up at night so the shot really works better at blue hour. I may try and return if we ever get some good weather and beautiful skies and try for a golden hour shot. This is the first time I've had a good opportunity to go out shooting since we came back from Okinawa. Still have some more to learn with the new camera to be as quick and make/change settings without thinking about it. For example, in this photo I was playing around with the ISO earlier in the session but forgot to set my ISO back to a low number so this photo was taken at 1250 ISO. The camera dealt with it pretty well along with good noise reduction in Lightroom so its barely noticeable. We're back in Okinawa. A bit disappointed; it's always tough to leave Tokyo but we had a great time visiting friends and family and just hanging out together. As I said in the previous post I didn't have any time to do any photography on my own so the vast majority is family oriented. I did experiment a lot with off camera flash and learned a few things. These photos are a two of the few I was able to get while running around following the family around. We went to Asakusa Sensoji Temple New Years Eve and as you can imagine it was a bit crowded. Despite the crowds, we were able to have dinner in the nearby market area. After visiting the Temple, we went to the Tokyo Tower to see the city by night. I did get a bit creative with the processing with Color Efex Pro. My family and I are having a great time here in our hometown of Tokyo, but I haven't accomplished very much photographically that I hoped to get done. I've had no time to go out on my own (not that big of a deal, I'll be back in the area on my own in a couple weeks), I was hoping to complete selecting my "Best of 2012" photos and have a post about that, I was hoping to make some progress on my refreshed website (notta), and finally wanted to start putting together some of the timelapse footage I have (once again notta). I guess it will all have to wait until we get back to Okinawa. For the meantime, here are three photos from Tokyo Tower on New Years Eve. I went to a starscape photography workshop a few weeks ago. I haven't been very regular on working on my photos lately, but decided to see what I could get from that night. Unfortunately, it was a pretty cloudy night so I couldn't get any star trails, but I did get some shots where the stars were fairly clear. 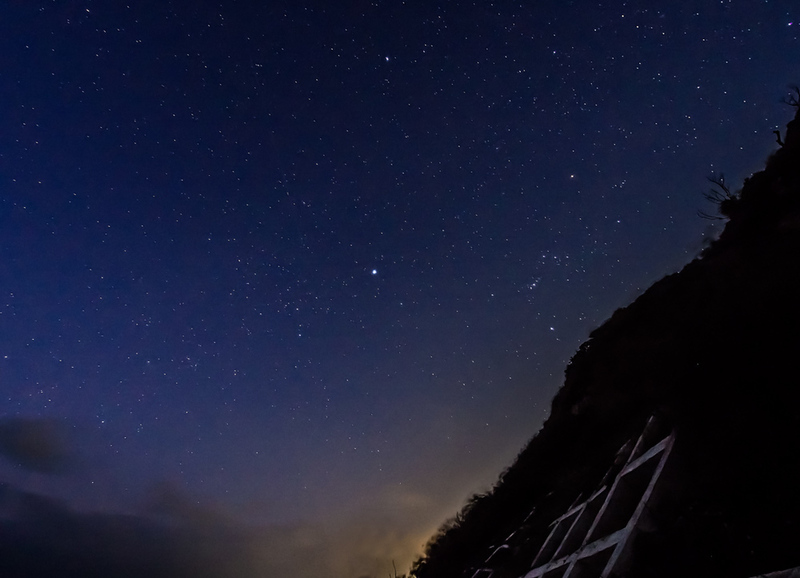 I'm looking forward to doing some more of this type of shooting but in a location where there is no light pollution.